But, the point is, you don't have to spend a ton of money to be organized. Especially for a drawer that is shut! So its not like everything is on display for others, it just needs to make sense, be easily accessible to exactly what I want, and the keep up needs to be minimal, otherwise, I won't...well...keep it up! 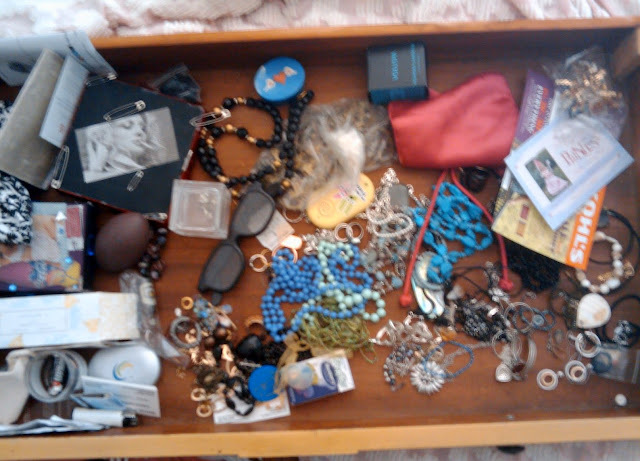 So I purchased fishing tackle boxes that were about two dollars each to organize my jewelry. Of course some pieces aren't going to fit in the 2x2" squares, so for larger pieces I got cheap, glass, baking platters from IKEA. They have a 5 piece set for about $8, that includes about four or five different sizes. I use them for everything from my chapstick and hair bands in my bedside table, to paperclips in my desk! They're great, clear, and just look clean! Carlee made me some decorative boxes many many years ago that I love, and to this day cherish, and use for larger pieces like my watches, bangles, and broaches. 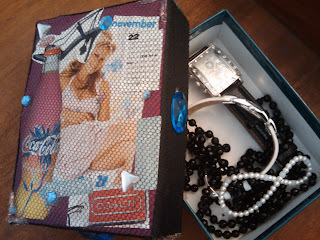 She took some old small boxes and decorated them with magazine photos, tulle, jewels, safety pins, etc. You can really jazz up some old boring boxes and make them worth looking at every morning when you go to pick out your jewelry! 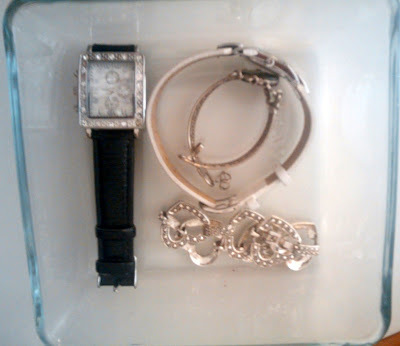 what a pretty collection of jewelry; I'm in the process of trying to organize mine too. 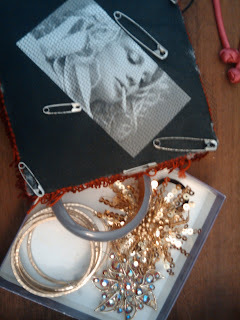 besides tackling the drawers, I'm looking into making one of those frames with wire to hand all the earrings. thanks for the inspiration! 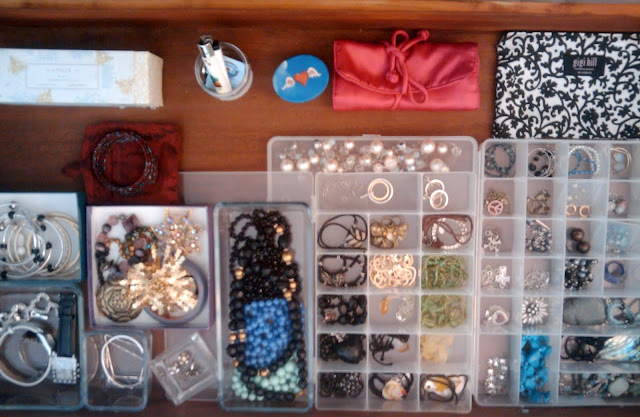 Amazing organization- I love organizing, haha. Love the new blog layout, btw! 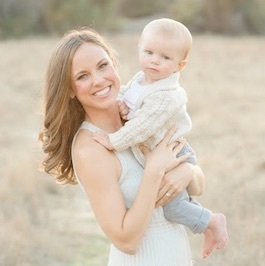 what a cute idea- I love how pretty everything looks in their new little sections! Thanks guys for the comments and tips. I love the frame idea for earrings. I'd also love to get one of those tree branch, antler looking pieces that you can display some of your favorite necklaces and other jewelry.